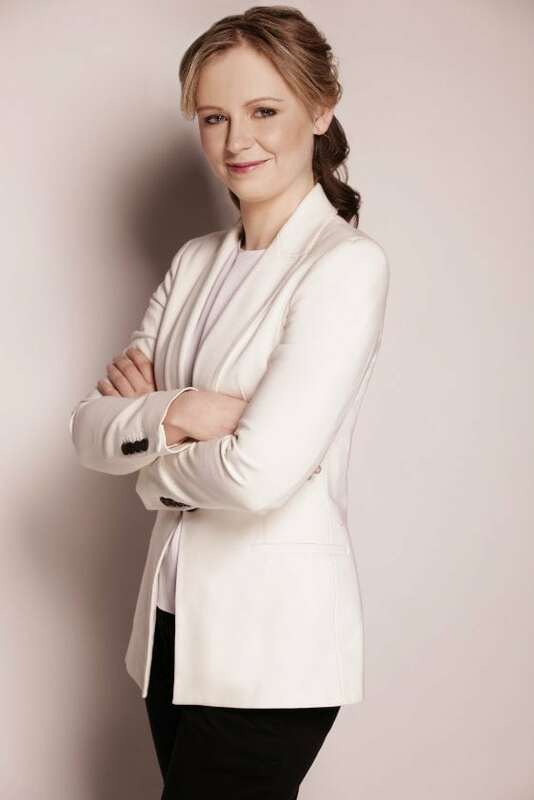 Sought after for her insightful interpretations and dynamic presence, New Zealand-born conductor Gemma New is currently in her third season as music director for the Hamilton Philharmonic Orchestra in Ontario, Canada and second season as resident conductor for the St. Louis Symphony Orchestra. In the 2017-18 Season, Ms. New enjoys guest engagements with the Royal Scottish National Orchestra, Helsingborgs Symfoniorkester, Filharmonia Szczecin and Orchestre de Chambre de Lausanne in Europe, the CMI Chamber Orchestra of San Antonio, and the Omaha, Albany, Berkeley and Chautauqua Symphonies in the USA, as well as the Auckland Philharmonia and Christchurch Symphony in New Zealand. In recent seasons, New has guest conducted several orchestras, including the Atlanta, Grant Park, San Diego, North Carolina, Malmö, Toledo, Long Beach, and Miami Symphonies, the Manitoba Chamber Orchestra and Orlando Philharmonic, as well as the Christchurch Symphony and Opus Orchestras in New Zealand. Committed to deepening the artistic level of the HPO and expanding the reach of the HPO in the community, Ms. New recently launched the HPO’s first Intimate and Immersive series, creating a ‘closer to the music’ atmosphere by combining together treasures of the orchestral canon, electronic indie music, lighting, and visual art installations. The 2017-18 HPO MainStage series presents wide-ranging repertoire, from Haydn to Hatzis, and highlights international soloists such as James Ehnes, as well as featuring the superb local choral talent of the Bach-Elgar and Grand Philharmonic Choirs. The HPO Family series, which the HPO launched with Ms. New’s first concert as Music Director, merges the wonder of music, science, theatre and Canadian culture, and in recent seasons has collaborated with filmmakers such as KV265, Jeremy Major and Nathan Fleet. As Resident Conductor for the St. Louis Symphony, Ms. New makes her subscription debut this season with a program featuring Ottorino Respighi’s Pines of Rome, Einojuahni Rautavaara’s Cantus Arcticus, and the North-American premiere of Erkki-Sven Tüür’s piccolo concertoSolastalgia. As conductor for the family and education concerts with the symphony, Ms. New explores the life and music of Felix Mendelssohn, and collaborates with the 442’s and Compositions for L.I.F.E. on a program based around Prokofiev’s Romeo and Juliet. As part of the SLSO’s ‘Live at Powell Hall’ performances, she leads Jurassic Park and North by Northwest. This season Ms. New is Co-curator of the SLSO Pulitzer series, a contemporary music series that compliments the most current art exhibition at the Pulitzer. She is engaged in several community concerts this season, including the brand new ‘Extra Credit‘ concert where St. Louis’ music educators are invited to perform alongside the St. Louis Symphony musicians. Ms. New also serves as Music Director of the St. Louis Symphony Youth Orchestra, now in its 48th season and nurturing over 100 of St. Louis’ finest young musicians. She moved to the St. Louis Symphony from her successful time with the New Jersey Symphony Orchestra as its Associate Conductor. A former Dudamel Conducting Fellow with the Los Angeles Philharmonic, Ms. New has led youth, school, and community programs with the LA Phil, and assisted Music Director Gustavo Dudamel, Conductor Laureate Esa-Pekka Salonen and other guest conductors. Additional significant experiences include a David A. Karetsky Conducting Fellowship at the American Academy of Conducting at the Aspen Music Festival, selection for the Tanglewood Conducting Seminar, and an Ansbacher Fellowship, during which she was selected by members of the Vienna Philharmonic to take up residence at the Salzburg Music Festival. Ms. New has also resided in Leipzig, Germany as a Felix Mendelssohn-Bartholdy Fellow, where she studied Mendelssohn’s music with Kurt Masur and led the Leipziger Symphonieorchester in the historic Lindensaal of Markkleeberg. Holding a strong interest in contemporary music, Ms. New made her Carnegie Hall conducting debut in 2013 when she led works by John Adams and Andrew Norman on the American Soundscapes series. In 2010 she founded the Lunar Ensemble, a nine-member contemporary music ensemble that ran for six seasons, premiered over 30 works, and toured around the USA. In 2017 Ms. New received a Solti Foundation U.S. Career Assistance Award, which will support her future studies in operatic conducting. Ms. New has conducted several contemporary operas, as well as assisted operas by Mozart, Verdi, and Ravel. With the LA Phil, she has assisted for semi-staged productions of Cavalleria Rusticana, Pagliacci, and Beethoven’s Missa Solemnis. This past season, New led a Wagner/Arnauld arrangement of Tristan und Isolde with the Chamber Orchestra of San Antonio. Ms. New holds a Master of Music degree in orchestral conducting from the Peabody Institute in Baltimore, where she studied with Gustav Meier and Markand Thakar. She graduated from the University of Canterbury, New Zealand with a Bachelor of Music (Honors) in violin performance.